Read on to learn about the three doshas and see what your prakriti may be. Your prakriti is your unique makeup of the one or two doshas that you most identify with. The three doshas are Pitta, Vata, and Kapha. Pitta dosha is comprised of the fire and water elements and represents transformation. Pitta type people are fiery, driven, passionate, motivated, competitive, hard-working, persistent, and may have a temper. Pittas typically have the physical features of warm hands, oily skin and hair, and a medium athletic build. Excess pitta dosha can lead to imbalance that manifests in symptoms such as a voracious appetite, irritability, hives/rash/acne/eczema, anger, jealousy, impatience, migraines, inflammation, and ulcers. Pittas can easily get over-heated, overly fierce, and extra acidic. 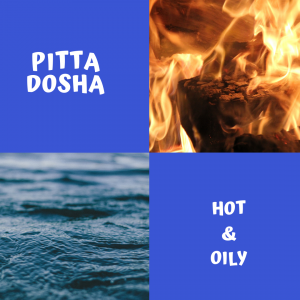 Pittas have the qualities of being oily and hot, so to calm excess pitta, you must consume foods and do activities that are the opposite of this, such as dry and cool. Pitta types should avoid overly spicy, salty, or sour foods. Cooling fruits and vegetables are great to balance pitta, such as cucumber or watermelon. Vata dosha is comprised of air and space. These elements together in vata represent movement. Vata type people are creative, flowing, ever-changing, light, mobile, quick, always moving, energetic, and idealistic. Vatas often have the characteristics of cracking joints, being easily distracted, having a small and thin frame, cold hands, and dryer skin. 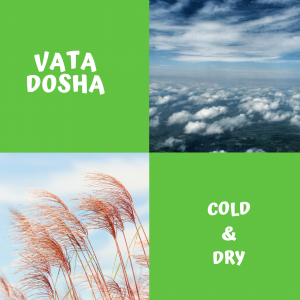 Excess vata dosha can lead to symptoms such as irregular digestion, being underweight, nervousness and anxiety, arthritis, burnout or stress, spasms and tremors, and sensitivity to cold temperatures. Vata types easily get cold, have dry skin, and are overly sensitive. To balance vata types’ dry and cold qualities, you must consume foods that are warming and moist. Vatas are recommended to avoid too many bitter, pungent, and astringent flavors in foods. Warming spices like cinnamon or ginger are great for vata. Kapha dosha is comprised of the elements of earth and water, representing structure. Kaphas are steady, grounded, dense, slow, patient, stagnant, loyal, and steady. Kaphas often have a soothing, calming energy, are devoted, and can feel heavy easily. Kapha type people usually have thick hair, cool and clammy hands, and well moisturized skin. Kaphas usually have a larger, heavier frame and it is very easy for them to gain weight. Other imbalanced kapha symptoms include slow digestion, congestion, lethargy, stiff joints, depression, edema or swelling, complacency, over-sleeping, and strong cravings or overeating. 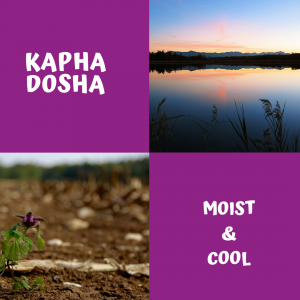 Kapha is moist and cool, needing warmer and dryer qualities to balance it out well. Kaphas should avoid overly sweet, sour, salty, heavy, or oily foods and do best with a fresh, unprocessed diet. Organic vegetables and pungent spices are beneficial for kapha types. This was simply a basic introduction to the doshas and some of their common qualities and imbalances. 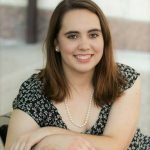 If you want to figure out your prakriti for sure, or have any questions about the best diet or activities for your doshic type, please reach out to me. I would be happy to work with you to determine your makeup and what foods are best for you. 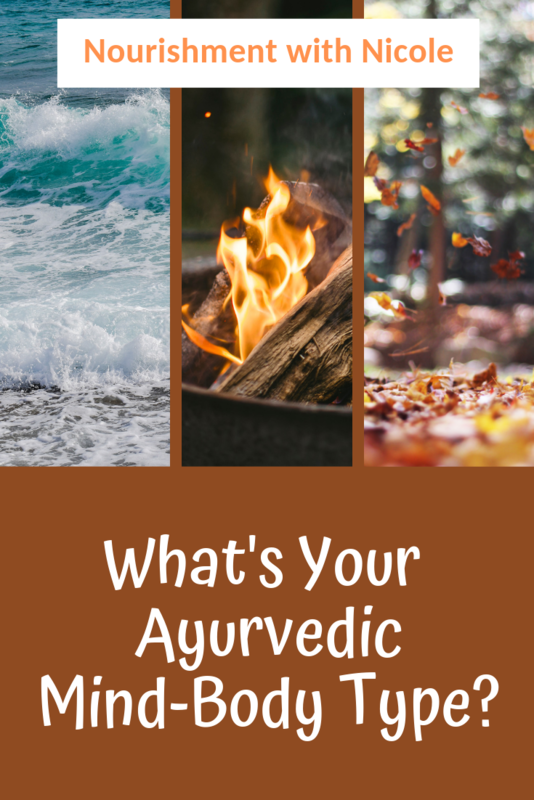 Ayurveda is a very interesting science and can tremendously benefit most people’s health. 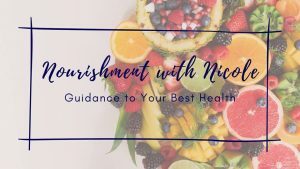 If you want to send me an email with any questions at all, feel free to contact me at nourishmentwithnicole@gmail.com. Hello! I don’t know much about coding. I don’t even know what that acronym is haha! With a wordpress blog, it is fairly easy to get started. Sites like wordpress or wix make things pretty simple to start up. Hopefully that helps! You can definitely start a blog even if you don’t know code. There are some features that you may have to learn to do more complex tasks or updates, but to start a simple blog you can easily do it.